A judge has scheduled Manafort's sentencing for March 13. A top prosecutor in the special counsel investigation into 2016 election interference has told a federal judge that a summer 2016 meeting in New York between then-candidate Donald Trump’s campaign chairman, Paul Manafort, and a man described as a former Russian intelligence officer strikes at “the heart of what the Special Counsel's Office is investigating,” a newly released court filing shows. “This goes to the larger view of what we think is going on, and what we think the motive here is,” top prosecutor Andrew Weissmann told U.S. District Judge Amy Berman Jackson during a closed hearing Monday, according to transcripts made public on Thursday. The relationship between Manafort and one of his business associates, Konstantin Kilimnik, has been a low-profile but persistent element of the Mueller probe. Kilimnik, who was also indicted in the Manafort case but has been beyond the reach of U.S. law enforcement, has been described by prosecutors as someone with ties to Russian intelligence. But this court hearing represents one of the first times special counsel prosecutors have identified his interactions with Manafort as a central element of their case. (Jonathan Ernst/Reuters, FILE) President Trump's former campaign chairman Paul Manafort departs U.S. District Court after a motions hearing in Alexandria, Va., May 4, 2018. Weissmann appears to go into greater detail about the significance of the Aug. 2 meeting, which according to the Washington Post took place at the Grand Havana Room in New York City, an upscale cigar lounge just three blocks from Trump Tower. But that portion of Weissmann’s testimony is redacted in the public transcripts. What is known about Manafort’s interactions with Kilimnik came into fuller view in January, when defense attorneys for Manafort inadvertently revealed that their client stands accused of sharing polling data with Kilimnik, a suspected former Russian intelligence officer, according to court documents filed publicly in Washington, D.C. In the same court documents, Manafort’s defense counsel wrote that their client “discussed a Ukraine peace plan with Mr. Kilimnik on more than one occasion,” but details of the alleged plan and the timeframe in which Manafort and Kilimnik discussed it were not described. Mueller’s prosecutors accused Manafort in November of breaking a plea deal by lying to the special counsel’s office about his communication with Kilimnik during the campaign, contacts with members of the Trump administration, and a $125,000 loan he received in 2016. A jury in Virginia found Manafort guilty on eight counts of tax and bank-fraud charged against him in August. 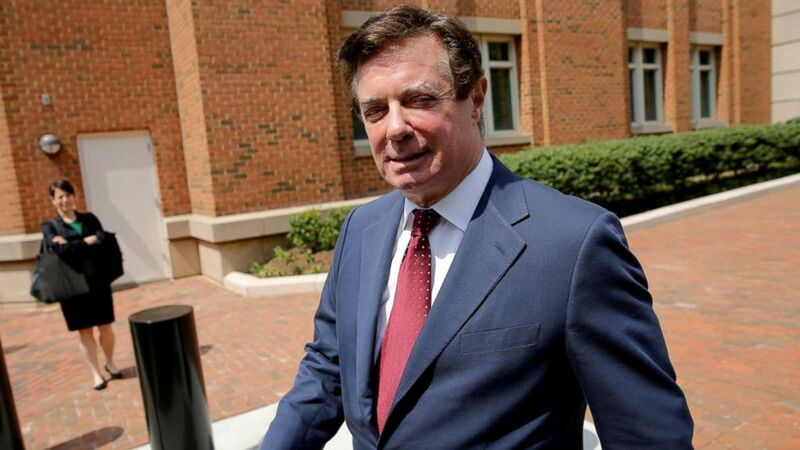 As part of his plea agreement in September in the Washington, D.C. case, Manafort pleaded guilty to two counts of conspiracy and agreed to 'broad' cooperation with the special counsel as part of his agreement. Earlier this week, Jackson rescheduled Manafort’s sentencing in the Washington, D.C., case for March 13.